Does 'Us' Have a Post Credit Movie Scene? Should You Stick Around After the End Credits of 'Us'? 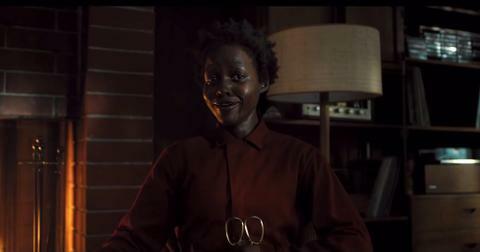 Jordan Peele's highly anticipated follow-up to Get Out is finally in theaters, and there are already so many theories surrounding the plot of Us. Like will it have a strong social message like Get Out or will Lupita Nyong'o survive? However, a lot of fans are also wondering if there will be a hidden message in the movie — after the credits run. So, does Us have a post-credit scene? According to movie-goers who were able to see Us before it premiered, there is no point in waiting in the theaters for the credits to end because there is no post-credit scene. Disappointed? You can be like this fan and make up your own after-credits scene. 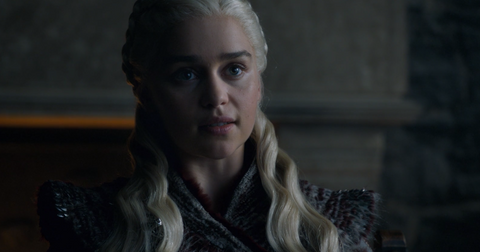 "I watched a post credit scene of Us in my dream and listen... it was kinda spooky, it was kinda creepy. Loved it," they tweeted. Us and Get Out are not connected. For viewers expecting Get Out 2.0, prepare to be disappointed. 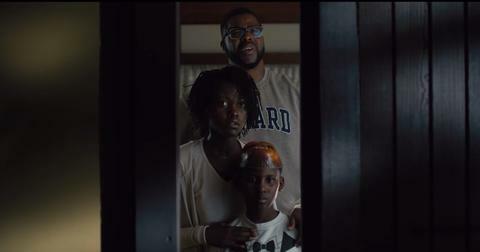 Director Jordan Peele made it very clear Us is a completely different movie experience. 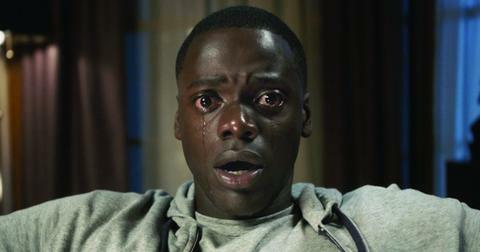 "With Get Out, I had the fear that if it went wrong, it would go terribly wrong," he told The Guardian. "I don’t have that fear with this movie, but of course there’s the fear of betraying the expectations of somebody who wants, essentially, Get Out 2, and what happens when they realize this is a very, very different movie." However, fans are expected to read between the lines for the social commentary that is bubbling under the surface. 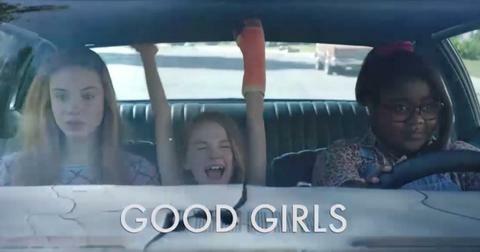 The movie follows Adelaide Wilson (Lupita Nyong'o) as she returns to the beachfront house she grew up in as a child. 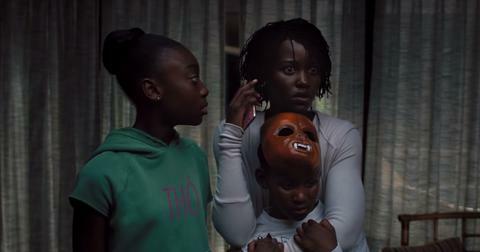 Joined by her husband (Winston Duke) and two children, the family is soon ambushed by four strangers in masks — who, once unmasked, are revealed to be a scarier versions of the Wilson family. WTF. 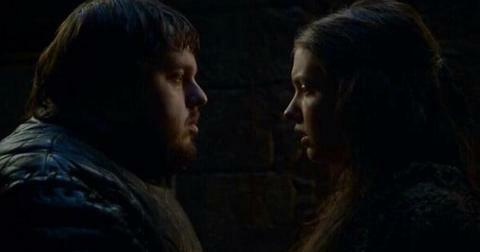 Not to give away too many spoilers, but Jordan explained the meaning behind the doppelgänger family. "We are our own worst enemy," he said, "not just as individuals but more importantly as a group, as a family, as a society, as a country, as a world. We are afraid of the shadowy, mysterious 'other' that’s gonna come and kill us and take our jobs and do whatever, but what we’re really afraid of is the thing we’re suppressing: our sin, our guilt, our contribution to our own demise." He continued, "No one’s taking responsibility for where we’re at. Owning up, blaming ourselves for our part in the problems of the world is something I’m not seeing." Jordan also hopes audiences begin to question the preconceived notions they have going into a black horror film. "Scores of people will walk into this movie waiting for the racial commentary, and when it doesn’t come in the form they’re looking for, they’ll be forced to ask themselves: ‘Why did I think a movie with black people had to be about blackness?'" he added. And keep an eye out for Easter eggs, because there will be plenty — like those rabbits. "Well, you know I wanted to make a movie full of Easter eggs," Jordan said of all the rabbits in the movie. "They’re an animal of duality. They’re adorable but they terrify me at the same time. And they got those scissor-like ears that creep me out." Will you be watching Us?